Among the many hazards a worksite can present, falling is one of the top sources of injuries and deaths. We take seriously the responsibility of working at great heights while staying safe and compliant on the job site with Fall Prevention equipment. With safety as your top priority, you can prevent and avoid an injuring or even life-threatening fall at the workplace. 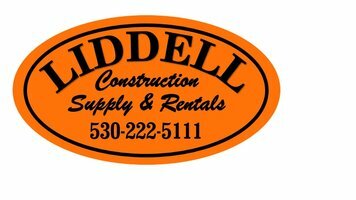 Liddell Construction Supply & Rentals has all the Fall Protection you need to complete your project safely and securely. While it is near impossible to completely eliminate all fall hazards from the workplace, identifying potential hazards before beginning a project is imperative. When the possibility for a fall is identified, workers must then be provided and use a fall prevention system. It is the employers responsibility to make sure the protection equipment fits the application for which it is used based on OSHA standards. At Liddell Construction Supply & Rentals, we put safety first and take pride in providing the best quality fall protection equipment for employers and trained workers. We’ll be sure to fit your needs for commercial or residential projects that require anything from anchors to lifelines. Contact us for help to complete your Fall Protection and climbing gear systems!